I did a news post on the trailer for Knock-Knock last week, and now I’m excited to review it for you! 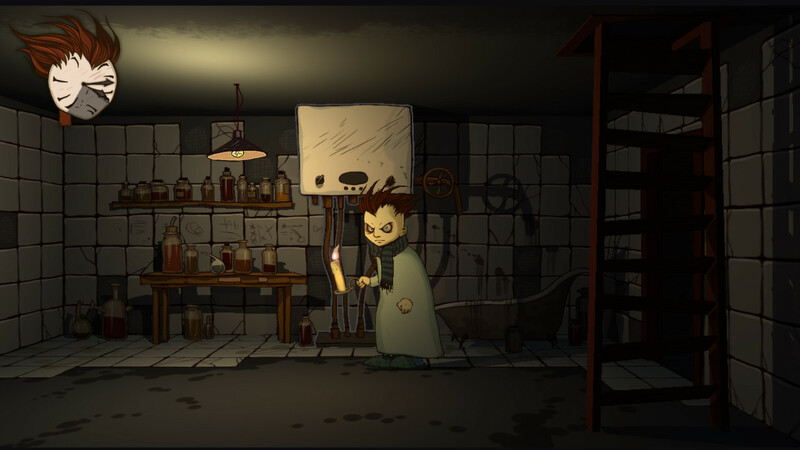 Knock-Knock was developed by Ice-Pick Lodge, a Russian developer who also brought us Pathologic, The Void, and Cargo! – The Quest for Gravity. 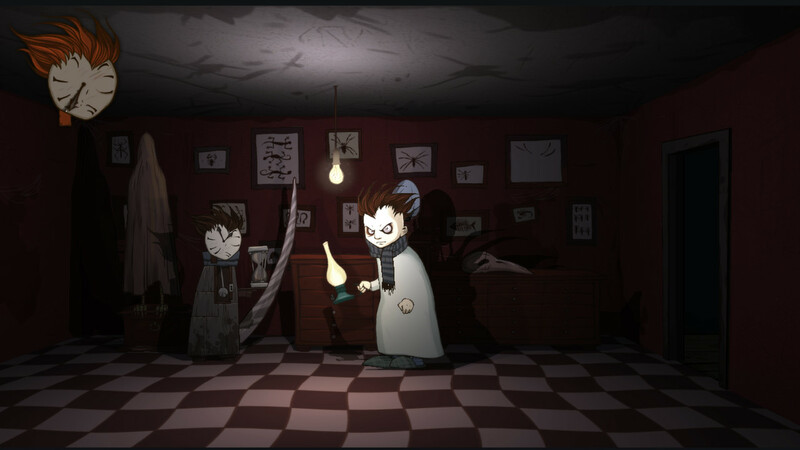 The game made it successfully through the Steam Greenlight process and started with a Kickstarter that ran from July 2012 through September 2012. But as of late the latest Lodger has been noticing weird changes in familiar surroundings; things are missing, noises and rattles heard. Something odd is coming out of the woods. Come night, it seems like someone’s made himself at home in the twilight of rooms, attics, and cellars. You need to stay awake and sane ’til dawn. The Lodger is wandering the rooms, evading the unknown, counting minutes ’til morning. But it’s only in the night that he can solve the main puzzle and find the answers. What’s going on? Are the Guests real, or are they just figments of his insomniac imagination? What’d happened to the forest? What’s happening to the cabin? Is there a line between reality and imagination? When the game starts, you wake up and hear a creepy banging. The Lodger has been unable to sleep, is experiencing sleepwalking, and keeps seeing “some strange thing.” He also tells you that time isn’t working quite right, and if he can just make it until dawn while keeping the house in order, he’ll be okay. You then go into a very brief tutorial and are let loose to turn on lights in your house and open stuck doors. 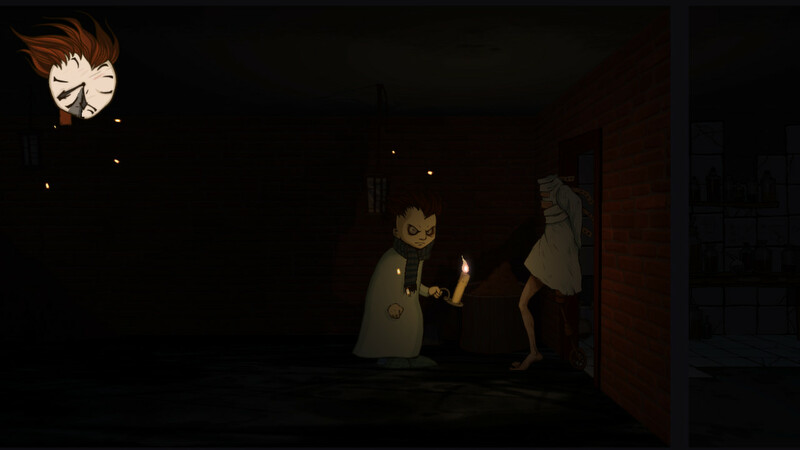 The Lodger will talk to you as you go through the house, and you will also find diary pages as you explore. These diary pages give you more insight into what is (and was) happening in the house, and some of these are extremely creepy. As you progress, your small house becomes bigger and bigger, and things move around. The Guests seem to be gaslighting the protagonist and taking advantage of his lack of sleep. I absolutely love the look of the game. On first glance things don’t seem so creepy, and The Lodger is kind of cute in a Tim Burton-esque way. The house has some unsettling things in it though, and the Guests are nightmarish. It’s difficult to get a clear picture of them, because you’re trying to get away, but what you do see is unsettling. None of them are quite human, or they are human but there’s something wrong with them. The sense of depth in the environments is very well-done, and the light effects are wonderful. The lodger carries around a candle or an oil lamp (depending on where he is), and this bobs around and throws light and shadow as you would expect. When two lights are on, the shadows get weirder. The Lodger does not speak English – he just has a mumbly, subtitled babble that suggests he isn’t quite right in the head. The babble reminded me of how the animals in Animal Crossing talk, but at a lower pitch. Sometimes he takes too long to finish his “speech” as compared to how long his sentences are, but you can skip the talking with spacebar once you’ve read what he has to say. His speech is sometimes odd, but I’m not sure whether to attribute that to the oddity of the Lodger or the Russian-to-English translation. All of the spoken language is spot-on English, so I lean towards the former. The Guests do talk, and their voices range from a high-pitched woman’s voice to a guttural man’s voice. These are all extremely creepy, saying things like, “I want to see you,” and I would suggest that you follow the game’s advice and play with headphones on, in the dark, for the full experience. You don’t use the mouse at all in Knock-Knock. All you need to do is use the arrow keys to move around, the spacebar to turn on lights and open doors, and the up arrow or the E key to activate clocks. You can also zoom in and out with your mouse wheel to see where you are in the house. This is quite simple and easy to pick up on. When the lights are on, you move faster, but Guests can sneak up on you invisibly. If the lights are off, you move much more slowly, but you can see a Guest before it gets you. 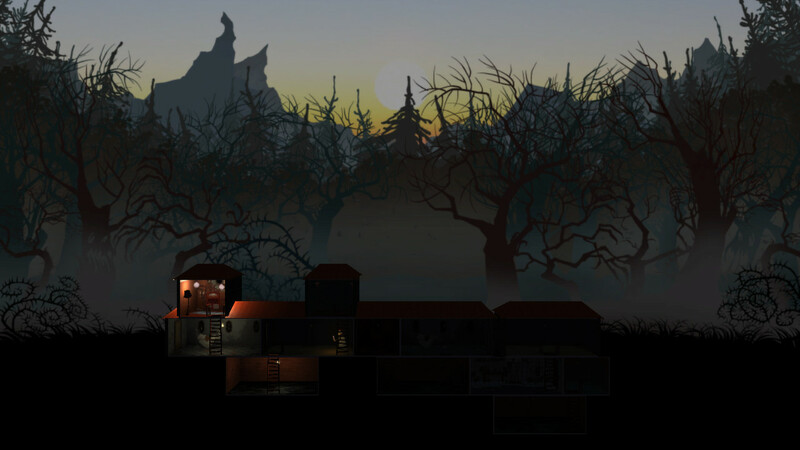 There are two kinds of levels – safe levels and levels where the Guests are roaming. In safe levels, all you need to do is get to the room with the time-advance clock and activate it, then go outside when the door of your house blows open (or is opened…). In levels with Guests, you need to avoid them until dawn arrives. If you run into a Guest, you move backwards in time and need to find more clocks to get dawn to approach. If your time is completely out, you have to restart the level. Sometimes this can be frustrating if you keep running into Guests, but the game itself is enjoyable enough where I didn’t mind trying again. Doors will get slammed behind you, Guests will smash lightbulbs that you’ve fixed, and the whole thing is extremely atmospheric. I screamed more than once playing Knock-Knock…mostly after being surprised by a Guest. There are eighteen Steam achievements in Knock-Knock and two different endings. I have only gotten one of the endings so far, and it took me three hours of playtime to reach the end. Get Knock-Knock if you like being thoroughly creeped out and don’t necessarily need an explicit explanation of what’s happening. I really loved it, and will definitely be playing it again to discover the other ending. Get Knock-Knock on Steam for $8.49 until October 11th; then it goes up to $9.99. You can also get the game on GOG (currently $7.99 for the first week). Go to the official site, like the team on Facebook, and follow them on Twitter and Google Plus. There are iOS and Android versions coming later this year.